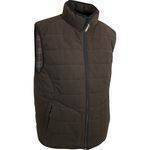 Jack Pyke Hunting Jackets and gilets for the most discerning hunter. When it comes to hunting jackets & in particular the Jack Pyke Hunters Jacket,your choice couldn't be better catered for. From waterproof jackets to the sleeveless gilets. New hunters jacket came today. Nice & warm & looks great. Jack Pyke Shop stock the full range available. From the hunters jacket to the field smock and soft shell jacket, with a choice of hunters green or a range of very realistic English camo designs. Key points when choosing your hunting jacket. If you require a 600 Denier Oxford Cordura waterproof hard shell jacket, look no further then the Jack Pyke Countryman waterproof Jacket. This is fully taped and 100% waterproof & offers the highest level of waterproofing. Many hunting jacket fabrics are highly breathable, allowing moisture to escape leaving you much more comfortable. 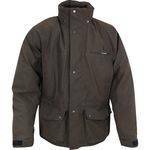 Jackets should not need re-proofing after every wash, however you must always use washing agent designed for waterproof clothing, as household washing powders can strip the waterproofing from your hunting jacket. Waterproofing can be reapplied as & when required, this can be purchased form most good outdoor stores. Your Hunting Jacket needs to cover your back, if it's to short you will get wet & cold when it's raining especially as you move around & bend down. Equally avoid buying a jacket too long as this will restrict your movement. Always allow room for extra layers under your jacket. These extra layers should start with a good quality base layer offering high wicking. Ideally you should try on the hunter jacket, & if possible with all the base layers. This will ensure the perfect fit. 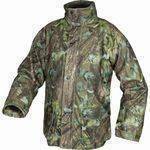 Hunting jackets with Velcro or elasticated inner sleeves will help to keep your arm dry when taking aim in rainy conditions. A hood is a great feature for any hunting jacket even if you prefer to wear a hat. A hood will always be available even if you forget your hat. Many hoods store away in a concealed neck pocket. If you wear a balaclava, face veil or snood they tend not to be waterproof, a hood can be used in conjunction & will provide an additional layer of protection. A good quality hood should incorporate an adjustable front wire so that the rain can be guided away from falling down your face. Think about how many pockets you will require, the placement & size of the pockets on the jacket. 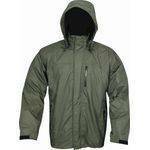 Then choose a jacket that meets your requirements. For example, hand warmer pockets are a great feature in cold weather, you may also want pockets that come complete with cartridge holder attachments. A good quality zip with storm flaps is a good option. Velcro flap for extra protection will help protect from direct rain & wind, however weatherproof zips will give you the best protection. Ideally your hunting jacket requires a full length zip that will reach up to your chin for maximum protection from the elements. Consider your activity and the time of year you will be using your hunters jacket. A hunters green jacket is the most versatile option, however camouflage patterns will allow you to blend in to the surrounding countryside. Jack Pyke Camo patterns on material designed specifically for the English woodland in spring & summer include the Jack Pyke English Oak & Jack Pyke English Woodland patterns. The English Oak is more Autumn & Winter colours, the English Woodland covers the late Spring & Summer foliage. 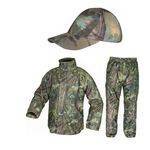 For Wetland shooting the Jack Pyke Wildlands Camo is the perfect choice for shooting down at the waters edge. Look out for features such as adjustable Velcro wrist straps, storm collars, waterproof pull out seat flaps & rustle free fabric for stealth stalking. After making your choice, you should end up with a hunting jacket which will keep you warm, dry and concealed from your game. 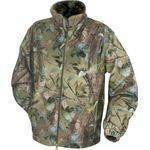 The hunting jacket will also give you many seasons of service.